Ben Bradshaw Events | How I generate $millions from Google AdWords and internet marketing for my clients! How I generate $millions from Google AdWords and internet marketing for my clients! 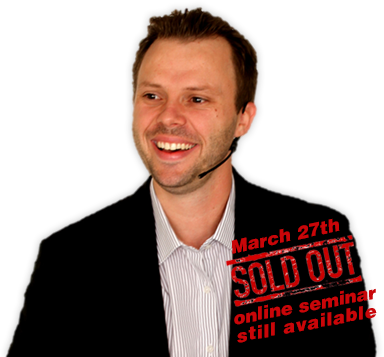 Ben Bradshaw is Australia's most sought after speaker and trainer on the subject of Internet Marketing. He is the Director of Australia's largest Australian owned AdWords Management Company & winner of a SmartCompany 2011 Hot 30 under 30 award. That increasing your website's position in Google is the simplist and most effective way of generating traffic and revenue for your business? It's true! By improving your website's search engine ranking from page 3 to page 1, you are more than doubling your traffic and profit from online marketing! This is a vital part of the unique SponsoredLinX strategy.